Merry Jones has been writing since she was old enough to hold a pencil. "If I don't write," she says, "over time, I get agitated and irritable, as if energy is building up inside and I have to let it out." 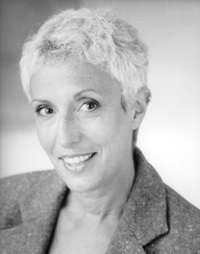 Accordingly, over the years, she has written a wide range of material, in a variety of styles and for diverse media. She began her career by spending about fifteen years writing and producing video and multi-media for corporate clients, but, when her second child was born in 1989, she decided to pursue her passion and began to write books. I always knew. From the time I learned to write my abc’s. Stories allow us to vicariously experience a limitless range of life. We face loss, death, danger, illness, monsters—and survive. We triumph when the characters survive, win the girl/boy’s heart, overcome obstacles, grow and become wise. Stories teach us. They encourage us. They show us the best and worst sides of ourselves. They take us places inside ourselves that we might not otherwise dare to go. Writing isn’t a choice. Being a writer isn’t just what you do; it’s who you are. 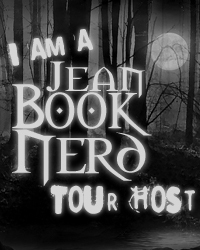 In your new novel; The Trouble with Charlie, can you tell my Book Nerd community a little about it? Elle Harrison comes home after a night out with a friend to find her soon-to-be-ex-husband dead in her den, her kitchen knife in his back. Obviously, she is suspected of killing him and, trying to prove her innocence, she discovers dark secrets about Charlie. And his family. And his associates. Danger ensues as Charlie’s cohorts fear that Elle might reveal their twisted secrets. Meantime, Elle senses that Charlie is still around, and that he blames her for his murder and that his spirit might cause her harm. What ensues is a riveting, amusing, suspenseful page-turner which examines not only a murder and other crimes, but also the shadowy edges of perception and reality. For those who are unfamiliar with Elle, how would you introduce her? Elle is a second grade teacher, still reeling from the trauma of her oncoming divorce when her husband dies. She’s in her mid-thirties and smarter, stronger and more attractive than she thinks she is. She’s still in love with Charlie, even though he’s a rascal who’s cheated on her. She’s got very close female friends who support her through tough times—they are her family. I’m working on ELECTIVE PROCEDURES, the sequel to THE TROUBLE WITH CHARLIE. And this July, OUTSIDE EDEN comes out. It’s the fourth Harper Jennings thriller, set in Israel, involving water shortages, a charismatic religious leader, and Bible codes. It’s a gripper. What part of Charlie did you enjoy writing the most? I had fun with the entire book, but especially the dialogue between Elle and Charlie (or the spirit of Charlie). Elle’s love for him comes through despite all his shenanigans and troubles, even despite his death. And even though he’s dead and not really there (or is he?) they bicker and squabble like any married/divorcing couple. There’s good energy between them. I was an intern for a welfare office during the early Seventies. I remember having to do a home visit for a pregnant woman expecting triplets. The weather was humid and in the nineties. She had no air conditioning, no income, lived on the top floor, and was being evicted. The steps to her apartment were littered with orange peels and trash. This woman was in her ninth month, trying to pack her things, sweating profusely, wandering the apartment from box to box with ankles swollen like hams. I tried to help her pack a box, but I couldn’t solve her problems. Had to leave. I drove off in my air conditioned car to other stops, feeling helpless and hopeless. I still wonder what happened to her. Still feel pain about the gap between those who have and those who don’t. Bob Baumann. He was captain of our high school football team, a big warm bear of a guy who wanted to teach English and coach high school football. Very funny. Very sweet. He died in a car crash a while after we broke up. I was nervous that I wouldn’t know what to do, and had my friend Iris Paul teach me. She told me to keep my lips soft and slightly parted, and just follow his lead. Without Iris, what would I have done? Not for years. When my dad died, I cried nonstop for days—but that was twenty-three years ago. Maybe I used up all my tears. When my mom died a few years ago, I was heartbroken, but tearless. It seems like now, no matter how I feel, my eyes are dry. Maybe it’s a medical issue. Then again, there are lots of ways to cry besides by crying. Fifties. All optimism and innocence. Living, having a family. Getting up each morning to see what will come, what I’ll find. I’m at MerryJones.com Always happy to hear from readers and might-readers. The biggest trouble with Charlie is that he's dead. His soon-to-be-ex-wife, Elle Harrison, comes home from a night out with friends to find his body in her den, her kitchen knife in his back. And, oddly, Elle has no memory of her activities during the time he was killed. Another trouble with Charlie is that, even though he's dead, he doesn't seem to be gone. 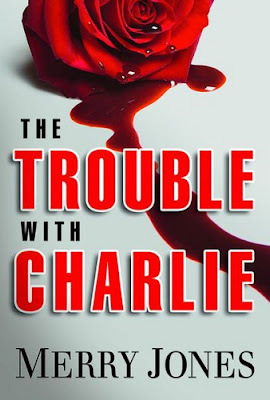 Elle senses Charlie's presence--a gentle kiss on the neck, the scent of his aftershave wafting through the house, a rose that seems to move from room to room on its own. And a shadow that appears to accuse her of murder--and with whom she argues. In the process of trying to prove her innocence, Elle investigates Charlie's death--and his life. A psychiatrist diagnoses her with a dissociative disorder that causes her to "space out" especially when she's under stress. This might explain the gap in her memory, but it doesn't clear her. As Elle continues to look into Charlie's life, she uncovers more and more trouble--an obsessed woman who might have been his lover. Siblings with unresolved bitter issues. A slimy untrustworthy business partner. And wealthy clients with twisted, horrific appetites. Before she knows it, Elle is involved in more murders, a struggle for her life, and a revived relationship with Charlie, whom--for all his troubles--she has come to appreciate and love only after his death. Thank you Merry for making this giveaway possible. 1 Winner will receive a Copy of The Trouble with Charlie by by Merry Jones. Dropped by Today ! Great interview !